A hip-hop enthusiast touching on various topics in everything hip-hop. From the latest Hip-Hop news, to major Hip-Hop beef documentaries to talking about rappers and singers that disappeared from the limelight to artists that are on the rise! It's all here hosted by Quake! 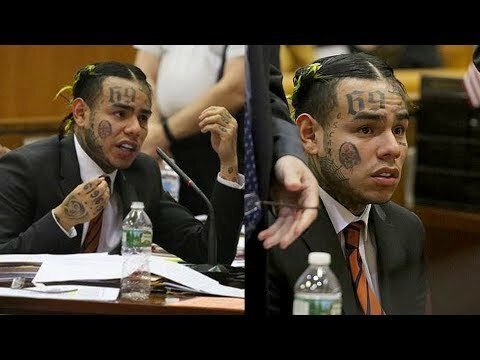 6IX9INE Set To Be Free Soon, Shotti Pleads Guilty In Court & Says 6IX9INE Is An "Ungrateful Rat"
Eminem Vs. Jay-Z: Who's Bigger? Gucci Mane Vs. Young Jeezy: Who REALLY Won? Eminem Vs. Benzino: Who REALLY Won? T.I. Vs. Lil Flip: Who REALLY Won? LL Cool J Vs. Canibus: Who REALLY Won? 50 Cent Threatens Joe Budden Over Eminem Comments... "I Owe You An A** Whooping Joe"
WHAT HAPPENED TO ACE HOOD? Nicki Minaj Cries When Asked About Cardi B Beef... "I've Never Seen Her Show Geniune Love"
Cardi B Talks Illuminati "If Something Happens To Me They Did It"
Beyonce Calls Out Tiffany Haddish BY NAME In New Song 'Top Off'!! Tiffany Thinks She Hears It! Tia Mowry-Hardrict Stops By 'The Real'! 50 Cent Speaks On 6IX9INE Snitching... "He Never Was Gangsta, He Was Only Surrounded By Gangstas"